Video: Defends tes convictions - Stand for Something. Black History Month, February 2015. Adelle Blackett, Ad. E., is Professor of Law and Canada Research Chair in Transnational Labour Law and Development at the Faculty of Law, McGill University, where she teaches and researches in the areas of labour and employment law, trade regulation, law and development, critical race theory and slavery and the law. Professor Blackett holds a B.A. in History from Queen’s University, civil law and common law degrees from McGill, and an LL.M. and a doctorate in law from Columbia University. Widely published in English, French and Spanish in the emerging field of transnational labour law, in 2015, she co-edited a Research Handbook on Transnational Labour Law. Her book manuscript entitled Everyday Transgressions: Domestic Workers’ Transnational Challenge to International Labour Law (Cornell University Press) was published in Spring 2019. A former official of the International Labour Office in Geneva, Professor Blackett has been an ILO expert on international standard setting on decent work for domestic workers (2008-2011) leading to the adoption of ILO Convention No. 189 and Recommendation No. 201; and in a labour law reform process in Haiti (2011-2014). In 2009, she was unanimously appointed by the National Assembly of Quebec to the province’s Human rights and youth rights Commission, where she served as a commissioner for seven (7) years. A member of the Law Society of Upper Canada and the Barreau du Québec, she was awarded the latter’s Christine Tourigny Award of Merit and the status of advocate emeritus in 2014, in recognition of her social commitment and her contributions to the advancement of women. She received a Queen Elizabeth II Diamond Jubilee Medal in 2012. In 2015, the Canadian Association of Black Lawyers awarded her its Pathfinder Award for her significant contributions to the legal community and the community at large. In November 2018, Adelle Blackett was appointed to the Human Rights Expert Panel of the Government of Canada’s renewed Court Challenges Program. She was appointed to the Canada-European Union Comprehensive Economic and Trade Agreement (CETA) Chapter 23 (Trade and Labour) Roster of experts in December 2018. Human Rights Intern, Instituto latinoamericano de servicios juridicos alternativos (ILSA), Bogota, Summer 1994. Labour Law, Law and Development, Transnational Labour Law, Regulation of Domestic Work, Trade Regulation, Law of International Organizations, Legal History, and Critical Race Theory. Blackett, A., Everyday Transgressions. Domestic Workers' Transnational Challenge to International Labor Law. (Cornell University Press, April 2019). 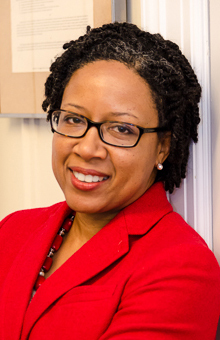 Blackett A., Guest Editor, Special Issue on Regulating Decent Work for Domestic Workers (2011) 23:1 Canadian Journal of Women and the Law/Revue femmes et droit 1-358. Blackett, A. & Tiemeni, T.G., "Regulatory Innovation in the Governance of Decent Work for Domestic Workers in South Africa: Access to Justice and the Commission on Conciliation, Mediation and Arbitration". International Journal of Comparative Labour Law and Industrial Relations 34, no. 2 (2018): 203–230. Blackett, A. “Decolonizing Labour Law: A Few Comments” in (2016) 92 Bulletin of Comparative Labour Relations 89-99. Blackett, A. “Social Regionalism in Better Work Haiti” [.pdf] (2015) 31:2 International Journal of Comparative Labour Law and Industrial Relations 163-185. Blackett A., “The Decent Work for Domestic Workers Convention and Recommendation, 2011” (2012) 106:4 American Journal of International Law 778. Blackett A. "Beyond Standard Setting: A Study of ILO Technical Cooperation on Regional Labor Law Reform in West and Central Africa" (2011) 32 Comparative Labor Law & Policy Journal 443-492. Blackett A., "Introduction: Regulating Decent Work for Domestic Workers" (2011) 23 Canadian Journal of Women and the Law 1 - 46. Blackett A., "Introduction: Réguler le travail décent des travailleuses domestiques" (2011) 23 Revue femmes et droit 47 - 96 [full translation of the original English version]. Blackett A, “Hacia el Regionalismo Social: el caso del CARICOM” (2007) 5 Revista latinoamericana de derecho social 15–46. Blackett A, “Situated reflections on international labour law, capabilities, and decent work: The case of Centre Maraîcher Eugène Guinois,” Liber Amicorum in honour of Katia Boustany , (2007) hors série Revue québécoise de droit international 223-244. Blackett, A., and Sheppard, C. “Collective Bargaining and Equality: Making Connections.” Int’l Labour Rev. 2003; 142:419-457. Blackett, A., and Sheppard, C. "Conjugar la négociación colectiva y el fomento de la igualdad." (full translation of original English version) Revista internacional del trabajo 2003; 122:461-505. Blackett, A., and Sheppard, C. "Négociation collective et égalité au travail." (full translation of original English version) Revue internationale du travail . 2003; 143:453-496. Blackett, A. “Mapping the Equilibrium Line: Fundamental Principles and Rights at Work and the Interpretive Universe of the World Trade Organization.” Sask. L. Rev. 2002; 65:369-392. Blackett, A. “Toward Social Regionalism in the Americas.” Comp. Labor L. & Pol. J. 2002; 23:901-965. Blackett, A. “Global Governance, Legal Pluralism & the Decentered State: A Labor Law Critique of Codes of Corporate Conduct.” Indiana J. Glob. Legal Stud. 2001; 8:401-447. Blackett, A. “Mentoring the Other: Cultural Pluralist Approaches to Access to Justice.” Int’l J. Legal Prof. 2001; 8:275-290. Blackett, A. "Whither Social Clause? Human Rights, Trade Theory and Treaty Interpretation.” Colum. Hm. Rts. L. Rev. 1999; 31:1-80. Blackett, A. “Globalization and Its Ambiguities: Implications for Law School Curricular Reform.” Colum. J. Transn’l L. 1998; 37:57-79. The Labour Law Casebook Group, Labour and Employment Law: Cases, Materials and Commentary, Eighth Edition (Aurora, Ont. : Irwin Press, 2011) (commercial casebook, 978pp.). The Labour Law Casebook Group. Labour and Employment Law: Cases, Materials and Commentary, 7th Edition. (commercial casebook) Aurora, Ont. : Irwin Press. 2004; 1008pp. Blackett, A. "Standard Setting on Decent Work for Domestic Workers at the ILO." Global Dialogue, Vol. 8, Issue 2. July 2018. Blackett, A. “A New Thing: Shall Ye Not Know It?” On Living Metaphors in Transnational Labour Law, in Simon Archer, Daniel Drache and Peer Zumbansen, eds., The Daunting Enterprise of the Law: Essays in Honour of Harry W. Arthurs 286-297 (McGill-Queen’s University Press, 2017). Blackett, A. “L’autonomie collective, élément clé du travail décent des travailleuses et travailleurs domestiques” Dominic Roux, ed., L’autonomie collective en droit du travail: perspectives nationales et internationales: Mélanges en l’honneur du professeur émérite Pierre Verge 477-509 (Sainte-Foy: Presses de l’Université Laval, 2014). 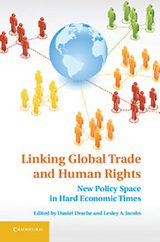 “’The Space Between Us’: Migrant Domestic Workers as a Nexus between International Labour Standards and Trade Policy” in Daniel Drache & Les Jacobs, eds., Linking Global Trade and Human Rights: New Policy Space in Hard Economic Times 259 – 273 (Cambridge : Cambridge U. Press, 2014). Blackett A., “Development, the movement of persons and labour law: Reasonable labour market access and its decent work complement” in Tonia Novitz & David Mangan, eds., The Role of Labour Standards in Development: Sustainable Theory in Practice 143 – 168 (Oxford: Oxford U. Press for the British Academy, 2012). Blackett A., "Emancipation in the Idea of Labour Law" in Guy Davidov & Brian Langille, eds., The Idea of Labour Law 420 - 436 (Oxford University Press, 2011). Blackett A. "The Paradox of OHADA's Transnational, Hard Law, Labour Harmonization Initiative" in Adelle Blackett & Christian Lévesque, eds., Social Regionalism in the Global Economy 243-272 (Routledge, 2011). Blackett A. « Commerce international et travail : définir le rôle réglementaire de l’État dans la nouvelle économie » in Pierre Verge, réd. Droit international du travail : perspectives canadiennes 223-255 (Cowansville : Éditions Yvon Blais, 2010). Blackett A. Trade, Labour Law and Development: A Contextualization in Teklè, T., Labour Law and Worker Protection in Developing Countries (Hart, 2010) 121. Blackett A. & M. Choko, “Les effets de l’accréditation” (Fascicule 13) in Rapports individuels et collectifs du travail, Jurisclasseur Québec, Lexis Nexis, 2009) 13/1 – 13/65. Blackett A. “Human Rights at Work, Legal Indeterminacy, and the Black Community in Canada: Critical Reflections on Centre Maraîcher Eugène Guinois” in David Divine, ed., Multiple Lenses: Voices from the Diaspora Located in Canada 365-372 (Cambridge: Cambridge Scholars Press, 2007). Blackett A. “Promoting Domestic Workers’ Human Dignity through Specific Regulation.” In: Fauve-Chamoux A, ed. Domestic Work as a Factor of European Identity: Understanding the Globalization of Domestic Work, 16th–21st Centuries. Bern: Peter Lang SA, Éditions scientifiques européennes. 2005; pp. 211-237. Blackett A. “Codes of Corporate Conduct and the Labour Regulatory State in Developing Countries.” In: Kirton JJ & Trebilcock MJ, eds. Hard Choices, Soft Law: Voluntary Standards in Global Trade, Environment and Social Governance. Aldershot: Ashgate. 2004; 121-133. Blackett A. “Defining the Contemporary Role of the State: WTO Treaty Interpretation, Unilateralism and Linkages.” In: Carmody C, Iwasawa Y & Rhodes S, eds. Trilateral Perspectives on International Legal Issues: Conflict and Coherence. Washington, DC: ASIL. 2003; 289-308. Blackett A. “Global Governance and Human Rights Advocacy: Self-Regulatory Initiatives as Emerging forms of Labour Regulation.” In: Campbell L et al, eds. International Inter/sections. Vancouver: UBC. 1998; 289-300. Blackett, A. Book Review, Darcy du Toit, ed., Exploited, Undervalued – and Essential: Domestic Workers and the Realisation of their Rights (Pretoria University Law Press, 2013) (2015) 49:3 Law and Society Review 801-804. Blackett, A. “Beyond the ‘Rules of the Game’,” contribution to a Book Review Symposium: The Future of the International Labour Organization in the Global Economy, by Francis Maupain (Hart Publishing, 2013), 154 : 1 International Labour Review 73 – 78. (English; français; español). Blackett A., Book Review of Leah Vosko, Managing the Margins: Gender, Citizenship, and International Regulation of Precarious Employment (Oxford University Press, 2010) (2011) 150:3-4 International Labour Review 457-461. Blackett A., Book Review of Jean-Claude Javillier & Bernard Gernigon, eds., Les normes internationales du travail : un patrimoine pour l’avenir: Mélanges en l’honneur de Nicolas Valticos (Geneva: ILO, 2004) 709pp., (2007) 101 :2 American Journal of International Law 529-534. Blackett A., Book Note on Marie-Ange Moreau's "Normes sociales, droit du travail et mondialisation : Confrontations et mutations" (Dalloz, 2006) (2007) 52:1 McGill Law Journal 203-206. Blackett A. Book Review of Bob Hepple's Labour Laws and Global Trade (Oxford: Hart Publishing, 2005), 302pp., (2006) 44 Osgoode Hall Law Journal 573-582. Blackett A. Review of Recension , (Jean Maurice Djossou: "L’Afrique, le GATT et l’OMC. Entre territoires douaniers et régions commerciales." Sainte-Foy et Paris, Presses de l’Université Laval et L’Harmattan, 2000, 266 pp.) McGill L. J. 2001; 46:1176-1177. Adelle Blackett, “Women, Migration and the Care Economy: What Regulating Domestic Work Teaches Us about the Relationship between Trade and Labour Law,” in Pitman B. Potter & Heather Gibb (with Erika Cedillo) eds., Gender Equality Rights and Trade Regimes: Coordinating Compliance, Papers based on the Proceedings of the Conference: Coordinating Compliance between Gender Equality Rights and Trade held at the University of Ottawa on Dec. 2 2010, (Ottawa: North-South Institute & Asia Pacific Dispute Resolution, University of British Columbia, 2012) 29-43. Blackett A., Diller J., Helfer L., Langille B. & Leary V. "The Future of International Labor Law," (2008) American Society of International Law, Proceedings of the 101st Annual Meeting 389 - 402.
International Labour Conference, Report IV(1), Decent Work for Domestic Workers (Law and Practice Report), Geneva, 2010. Blackett A. & Tsikata D., “Vulnerable Workers”, in Frédéric Mégret & Florian Hoffman, “Dignity: A Special Focus on Vulnerable Groups" in Swiss Initiative to Commemorate the 60th Anniversary of the UDHR Protecting Dignity: An Agenda for Human Right, June 2009. Blackett A. “Trade Liberalization, Labour Law and Development: A Contextualization,” International Institute for Labour Studies (Geneva, IILS Discussion Paper No. 179, 2007) 30pp . Blackett A, Sheppard C. “The Links Between Collective Bargaining and Equality.” ILO Declaration Working Paper No. 10. Geneva: ILO. 2002; 64 pp. Blackett A. “Making domestic work visible: The case for specific regulation.” Labour Law and Labour Relations Programme Working Paper No. 2. Geneva: ILO. 1998; 29pp. "Adelle Blackett tells the story behind the International Labour Organization's (ILO) Decent Work for Domestic Workers Convention No. 189, and its accompanying Recommendation No. 201 which in 2011 created the first comprehensive international standards to extend fundamental protections and rights to the millions of domestic workers laboring in other peoples' homes throughout the world. As the principal legal architect, Blackett is able to take us behind the scenes to show us how Convention No. 189 transgresses the everyday law of the household workplace..."
Blackett, A., editor, special issue on "Decolonizing Labour Law: Contributions to an Emergent Transnational Labour Law." Édition spéciale: "Vers un droit du travail décolonisé : Contributions au droit transnational du travail en émergence." 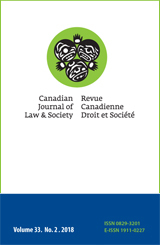 Canadian Journal of Law and Society / La Revue Canadienne Droit et Société (2018) 33:2. "Decolonization is not a metaphor. It is rooted in land—in historical and ongoing territorial dispossession—and in the labour of Indigenous, Black, and otherwise racialized, subordinated peoples.2 It calls for slavery and various forms of colonialism—including settler colonialism—to be remembered, acknowledged, resisted. Decolonization is necessarily, and by definition, unsettling... 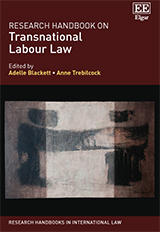 It is in this unsettled moment that it becomes critical to rethink labour law’s foundational narratives..."
Explores "the emergence of transnational labour law as a field, along with its contested contours. The expansion of traditional legal methods, such as treaties, is juxtaposed with the proliferation of contemporary alternatives such as indicators, framework agreements and consumer-led initiatives. Key international and regional institutions are studied for... "
“’The Space Between Us’: Migrant Domestic Workers as a Nexus between International Labour Standards and Trade Policy” in Daniel Drache & Les Jacobs, eds., Linking Global Trade and Human Rights: New Policy Space in Hard Economic Times 259–273 (Cambridge : Cambridge U. Press, 2014). "a fresh, interdisciplinary approach to addressing labour regulation by drawing upon insights from industrial relations, comparative capitalism, and new governance schools of thought. It stands for the proposition that an interdisciplinary study of regional regulation holds the potential to offer a fuller account of social regionalism. Its focus is to consider how institutions and labour market actors reconstruct and renegotiate regulatory space in a changing economic environment..."
Blackett A., Guest Editor, Special Issue on Regulating Decent Work for Domestic Workers (2011) 23:1 Canadian Journal of Women and the Law / Revue femmes et droit 1-358.